Sarojini Nagar Is All Things Christmasy This Time Of the Year! 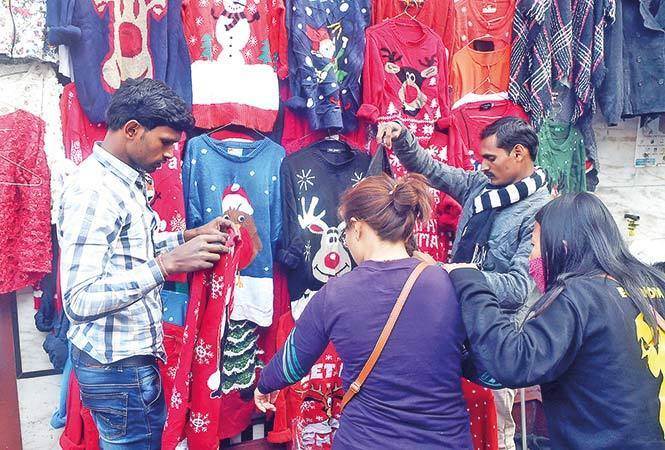 When it comes to Christmas fashion we are all looking for Santa and reindeer on red jumpers, little snowmen on mufflers and Christmas tree designs on red pyjamas, and what better place than Sarojini Nagar to get our hands on all things Christmasy! If you are planning a weekend shopping with girls, then head straight over to Sarojini Nagar Market, every Delhiites go-to place to buy affordable fashion. This year, the market has plenty of options to choose from – and not just in red, there are options available in green, blue and white as well. If you happen to visit the market before Christmas, then you won’t be surprised with the abundance of Christmas jumpers in the market. Santa, snowman and Xmas tree jumpers can be seen at almost all shops. According to the sellers, anything red sells as Christmassy during this time. People might not celebrate the festival, but they like to dress up. Though the sellers might demand Rs400-Rs500 for a jumper, depending on your bargaining skills, you can get it for as low as Rs200. 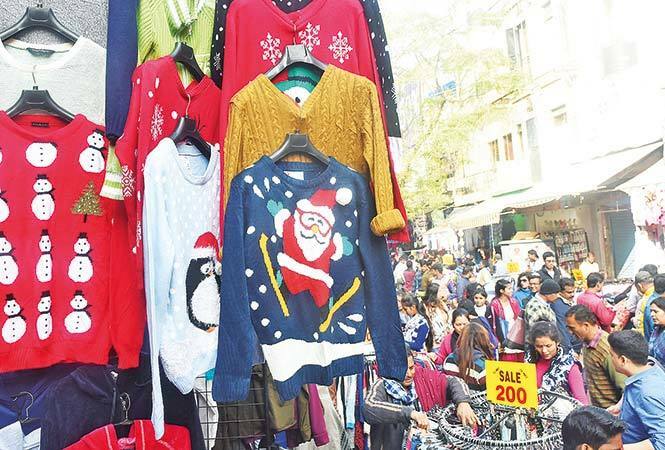 Sarojini Nagar Market has an entire range of these jumpers with funky Christmas trees, Olaf, season quotes like ‘Merry Christmas Ya Filthy Animal’ and lots more. So, guess that sorts your Christmas shopping scene! Days Before Driverless Metro Launches, The Train Crashes Into A Wall! London’s Craziest Nightlife Event Is Bringin’ Fire Eaters, Burlesque Dance And More!